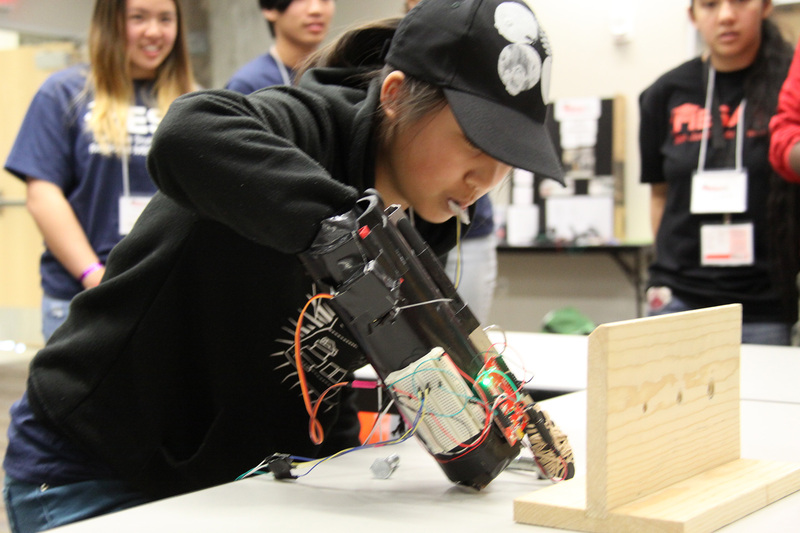 California’s best and brightest future engineers will compete for top bragging rights and the title of state champs for creating the best code-powered prosthetic arm this weekend. The top four middle school and top four high school teams have already beaten thousands of other MESA students out during preliminary and regional competitions. This competition bridges classroom learning with real world application and encourages students to think beyond what they learn in physics, calculus or geometry. These experiences are particularly poignant for MESA students are they all attend low-performing schools, come from low socio-economic background and are typically the first in their families to attend college. UC Irvine will not only host this weekend’s event, but two teams competing are from the UCI center. Student teams have to perform several tasks with the arm, give an oral presentation and submit a complete R&D report during the day-long event. Judges for the contest are MESA alumni from Compton and Imperial Valley who are now professional civil, manufacturing and software engineers. The winning middle and high school teams will move on to the national championship June 21-24 in Philadelphia. If you can’t make it down to Irvine, stream the competition on Facebook Live or stay up to the minute on by following on Twitter.